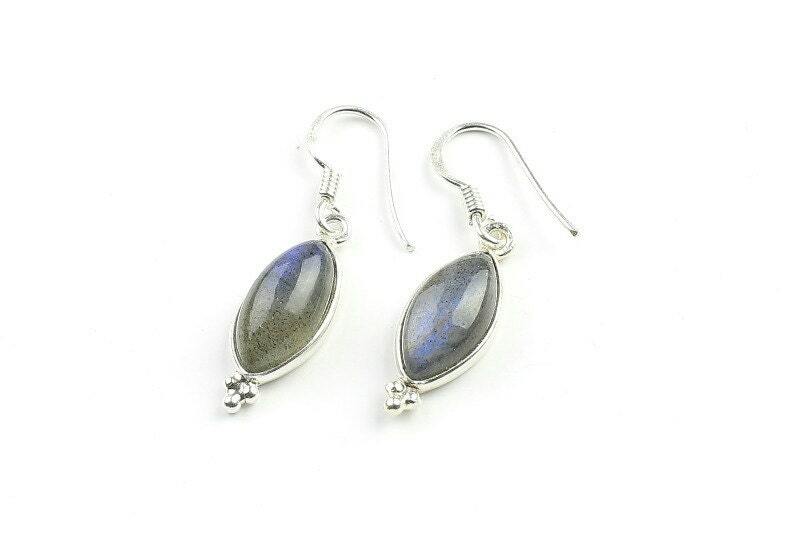 Mystic labradorite stones in lovely simple silver drop setting. Length With Hook: 1 1/4"
Beautiful labradorite, length is perfect. Look beautiful on!